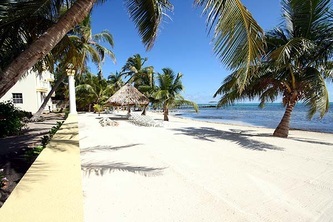 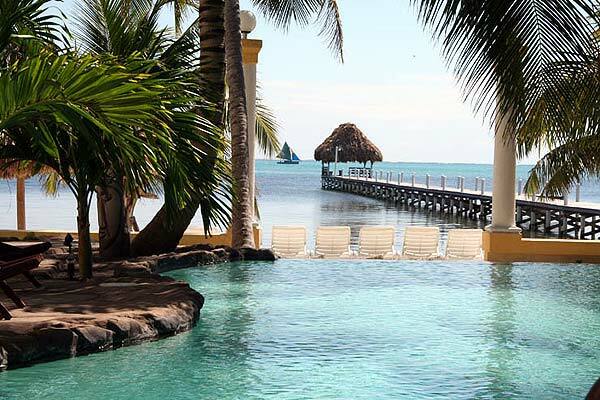 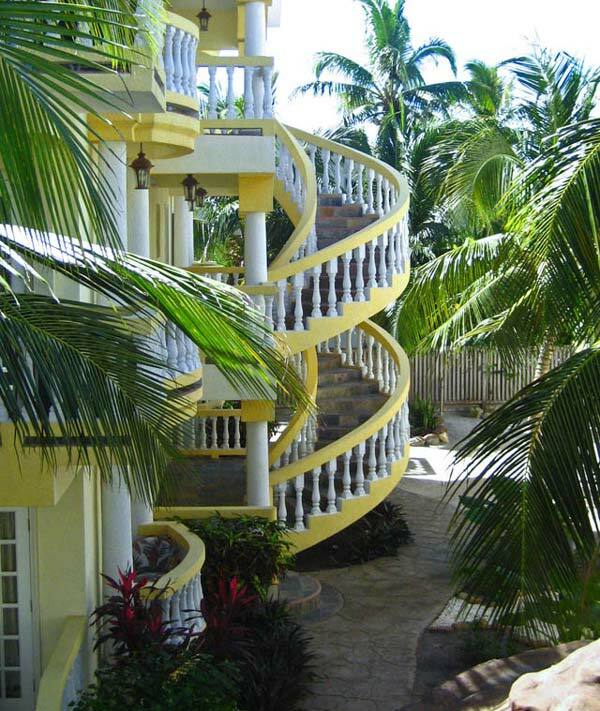 Pelican Reef Villas "Our Belize Vacation" - "Our Belize Vacation"
Swaying Palms, sandy beaches, and warm ocean breezes welcome you to Pelican Reef Villas. 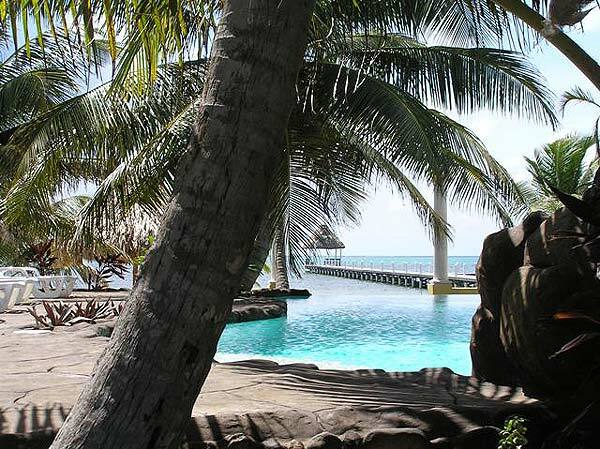 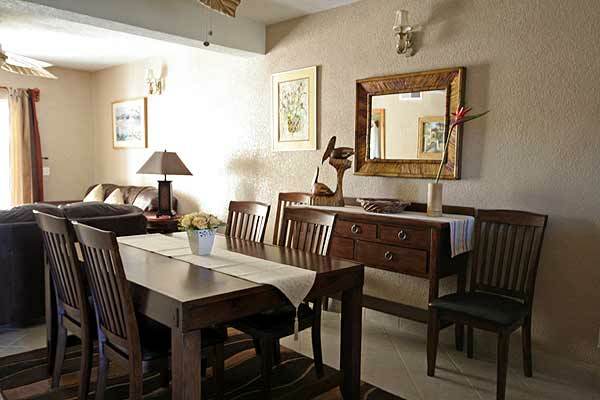 Experience unparalleled luxury, and service that is raising the standards, in one of our 2 or 3 bedroom villas. 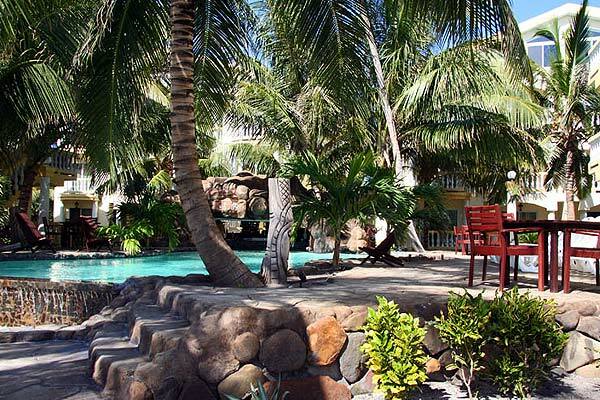 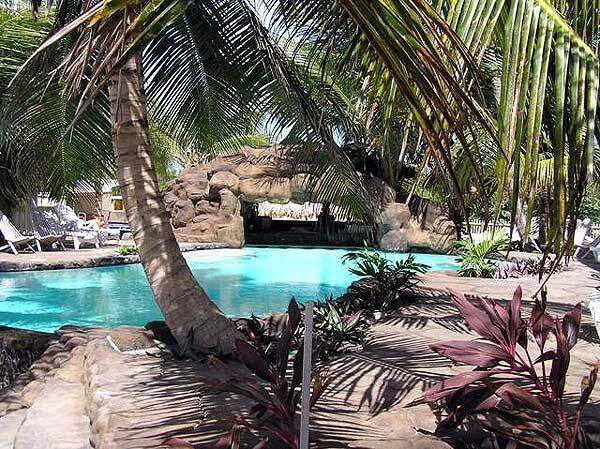 Pelican Reef Villas blends deluxe amenities and breath-taking views with a discreet location 2.5 miles south of San Pedro to give your trip seclusion with real panache! 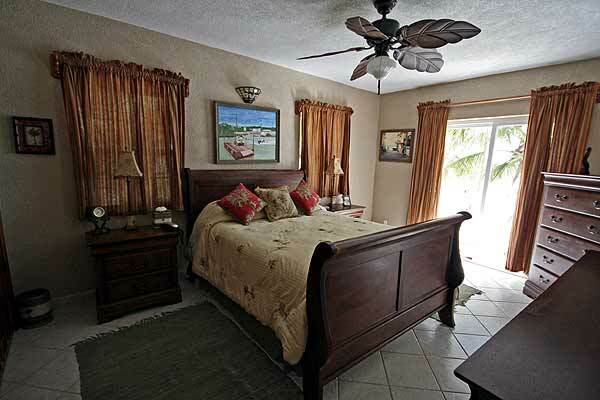 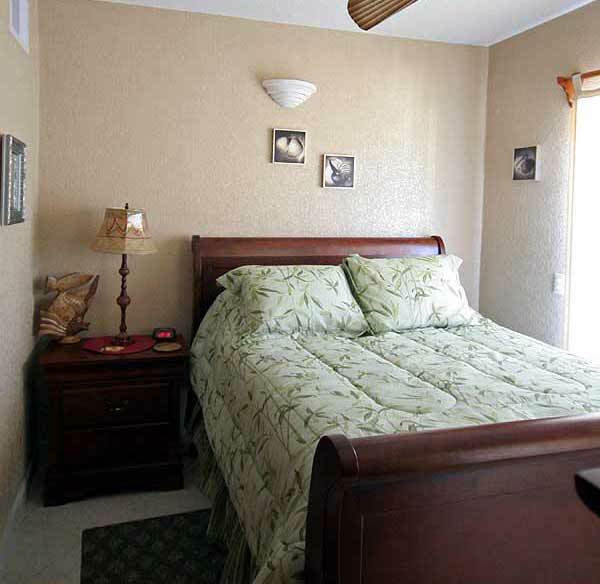 Our two bedroom/ two bathroom villas are 1275 sq ft of luxury and comfort. Through the front door you will find a fully equipped designer kitchen with stunning granite counter tops and beautifully handcrafted mahogany cabinets. 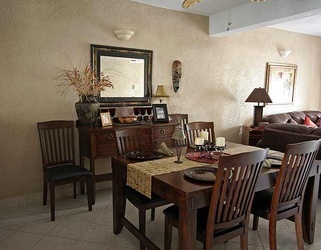 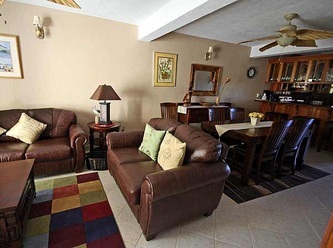 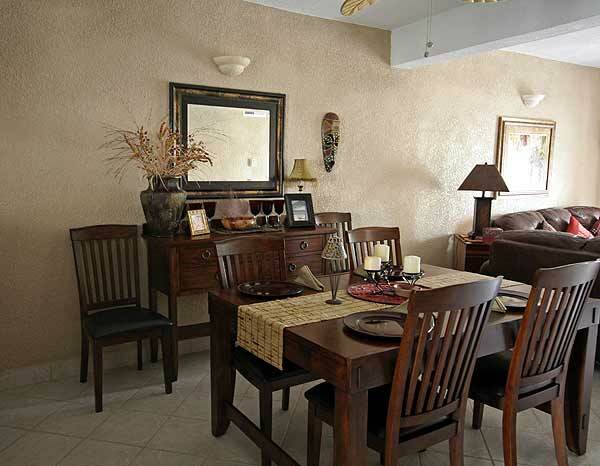 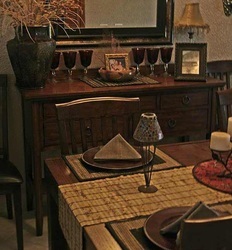 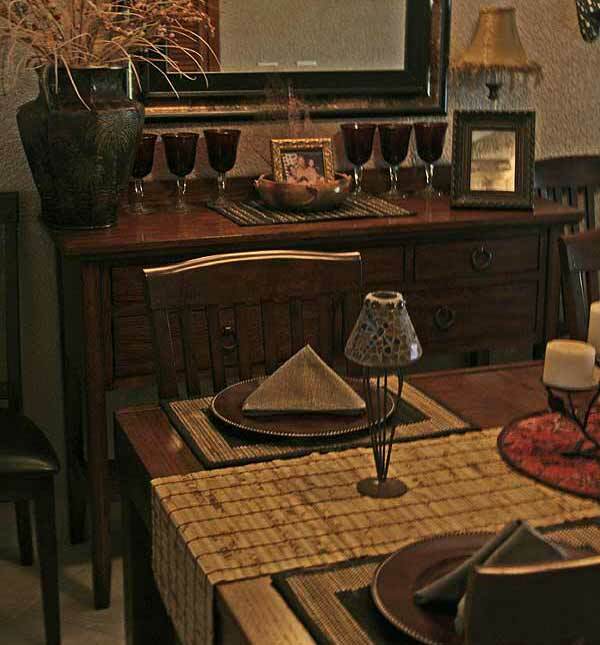 The living and dining area are both spaciously designed with beautiful artwork and cozy furnishings. 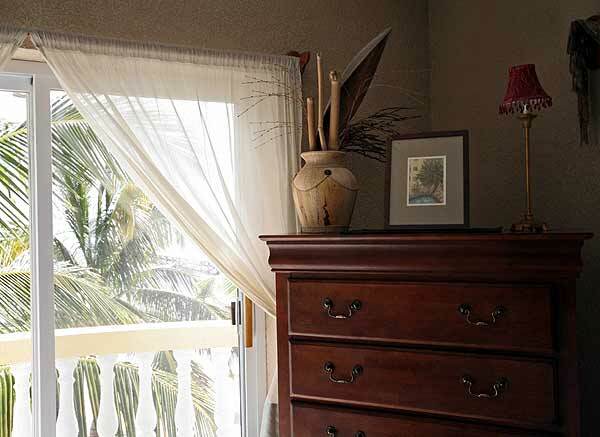 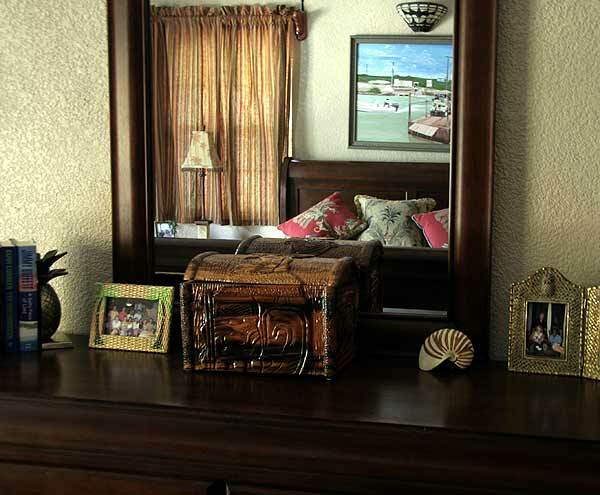 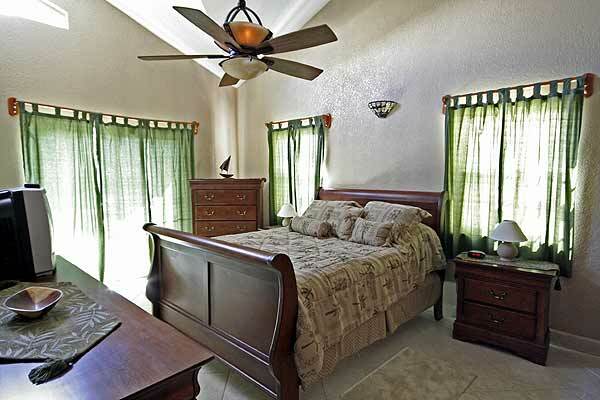 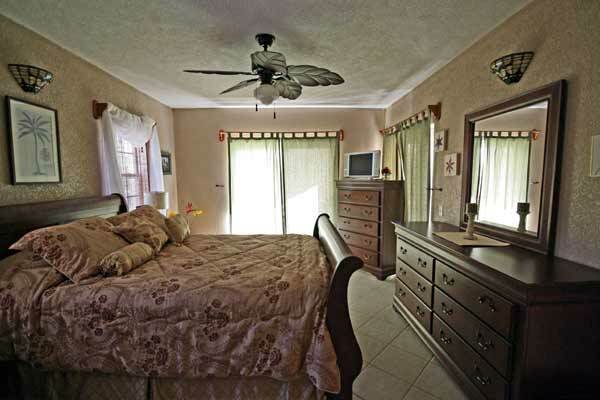 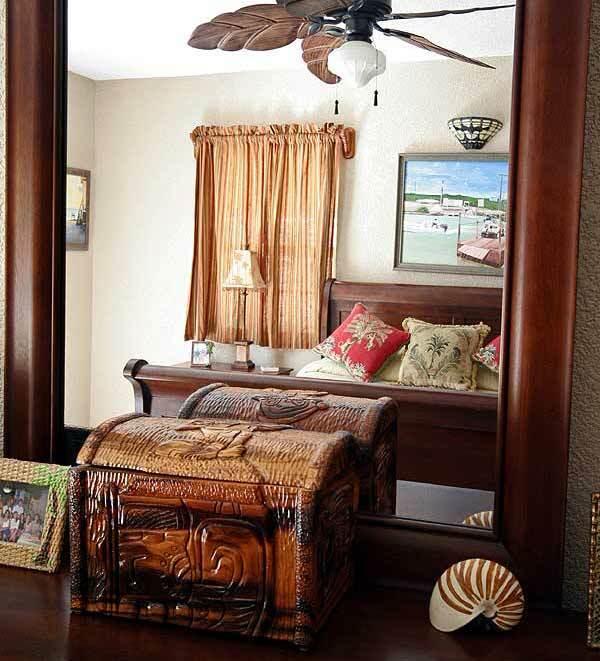 In the master bedroom you’ll find a queen size sleigh bed with luxury pillow top mattress and private viewing veranda overlooking the Caribbean Sea. 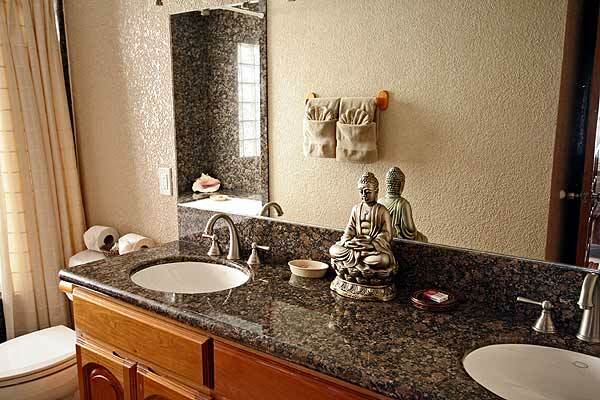 The attached master bath boasts double granite vanities and Jacuzzi tub with a beautiful glass blocked window bringing in just enough sun or moon light to begin or wind down your day of peace and tranquility. The second bedroom is also equipped with a luxury pillow top queen size bed and private viewing veranda. 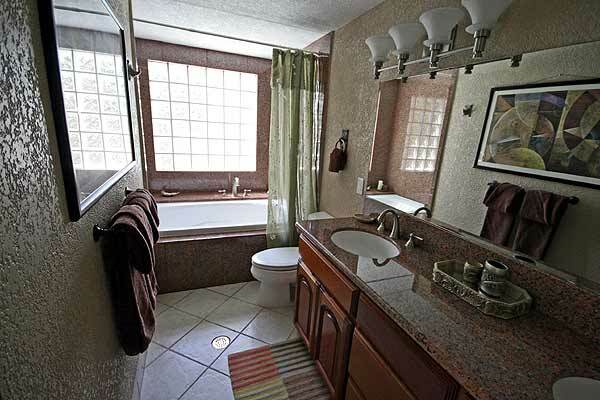 The bathroom is detached and has a large walk in granite shower and single granite vanity. 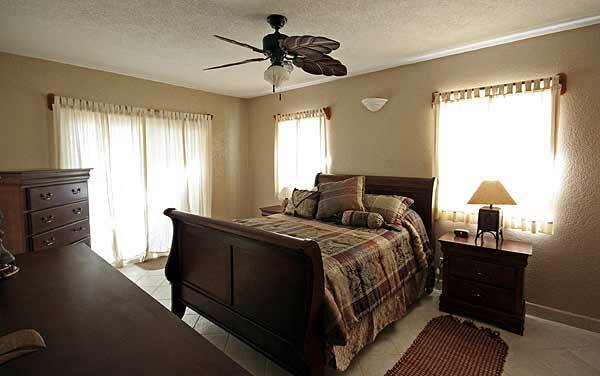 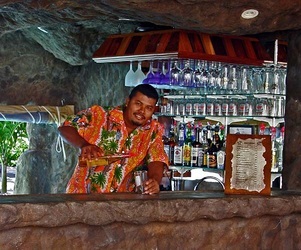 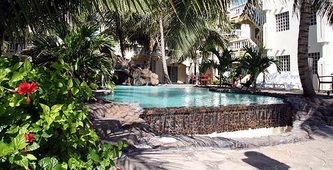 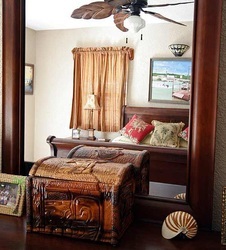 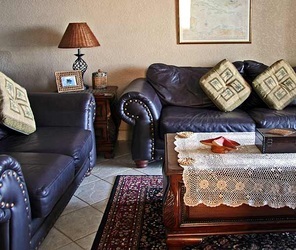 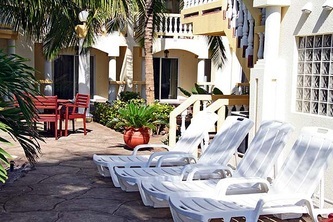 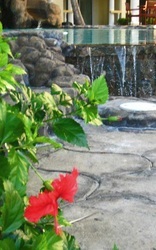 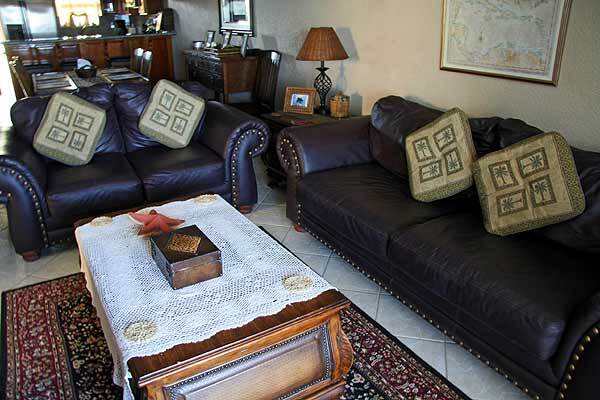 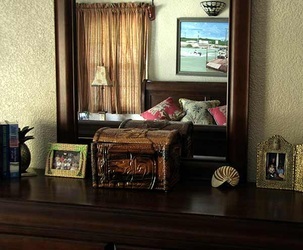 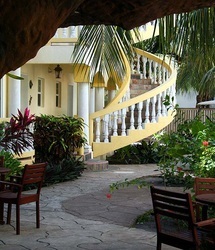 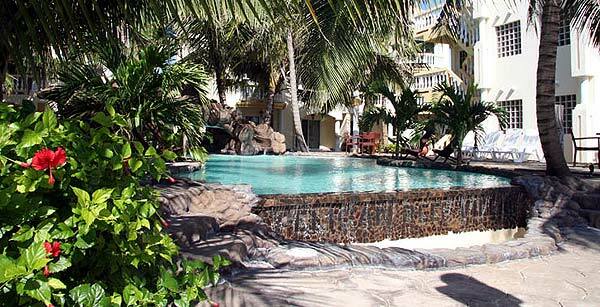 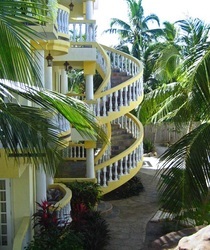 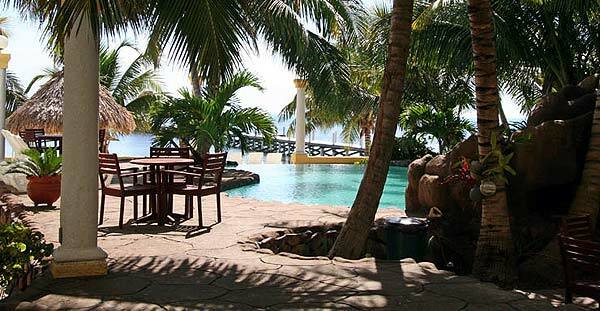 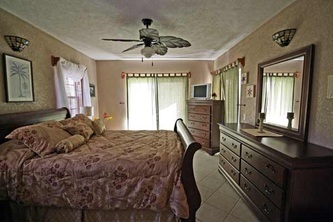 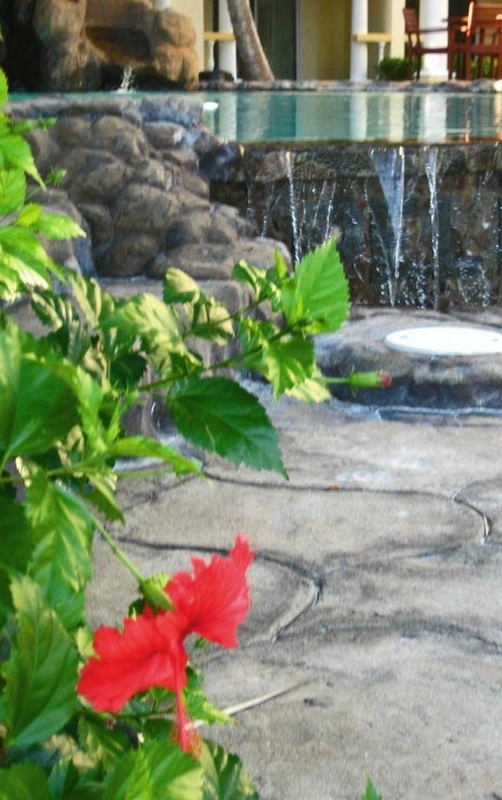 Each villa also has a full size washer/dryer and daily housekeeping services. 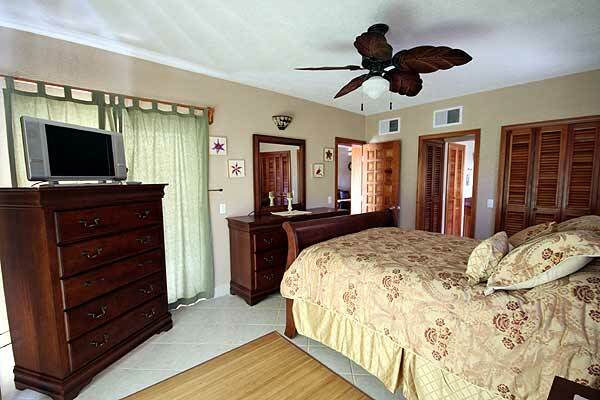 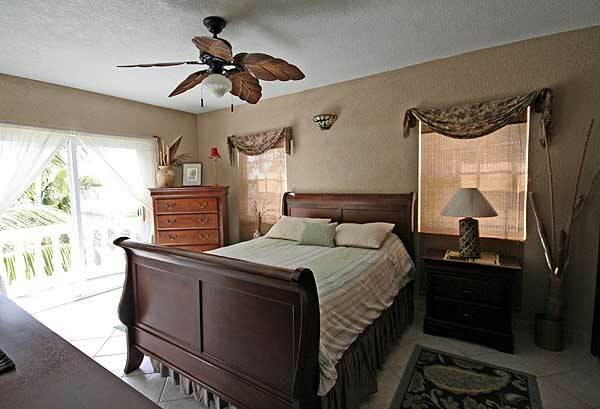 Our three bedroom/ three bathroom villas are two story and 1950 sq ft of luxury and comfort. 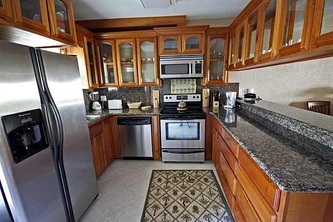 Through the front door you will find a fully equipped designer kitchen with stunning granite counter tops and beautifully handcrafted mahogany cabinets. 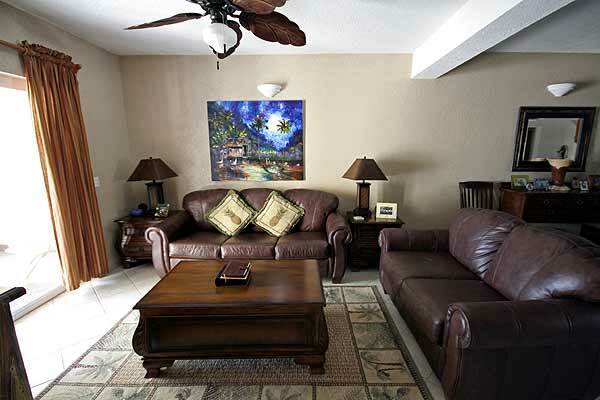 The living and dining area are both spaciously designed with beautiful artwork and cozy furnishings. 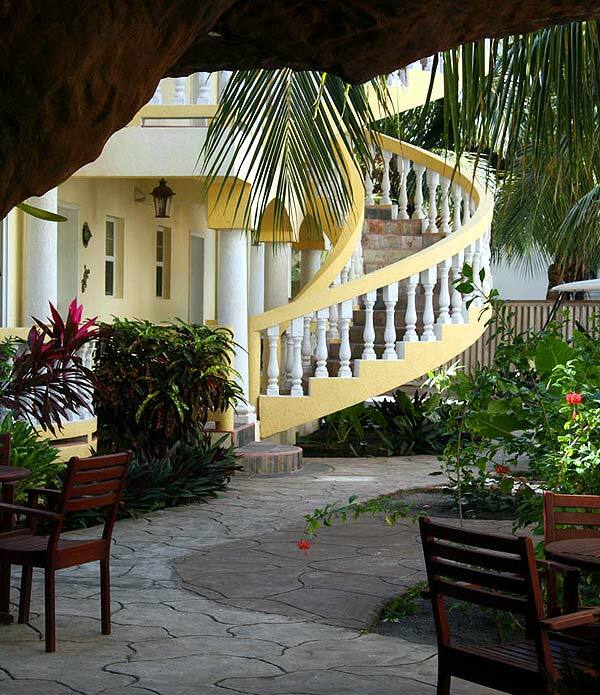 In the downstairs, seaside, bedroom you’ll find a queen size sleigh bed with luxury pillow top mattress and private viewing veranda overlooking the Caribbean Sea. 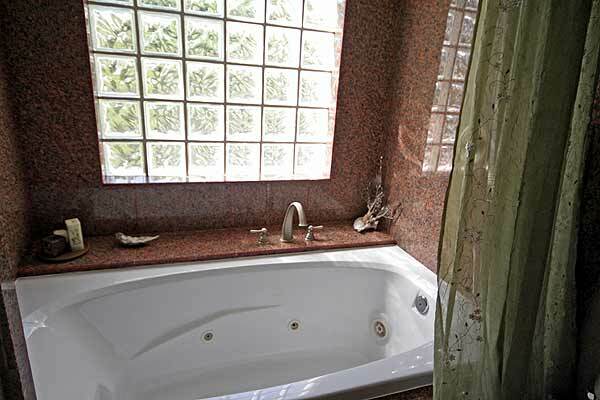 The attached master bath boasts double granite vanities and Jacuzzi tub with a beautiful glass blocked window bringing in just enough sun or moon light to begin or wind down your day of peace and tranquility. 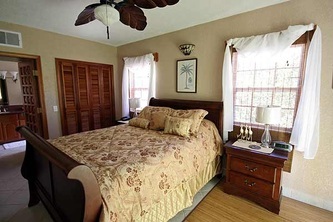 The second bedroom is also equipped with a luxury pillow top queen size bed and private viewing veranda. 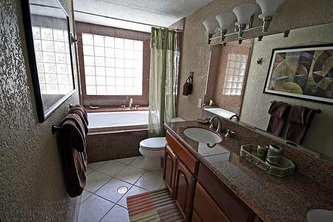 The bathroom is detached and has a large walk in granite shower and single granite vanity. 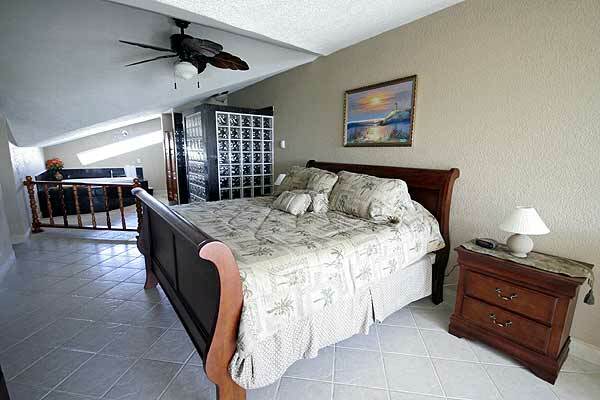 When you walk upstairs you’ll enter a spacious, 1,000 sq ft, private master suite. 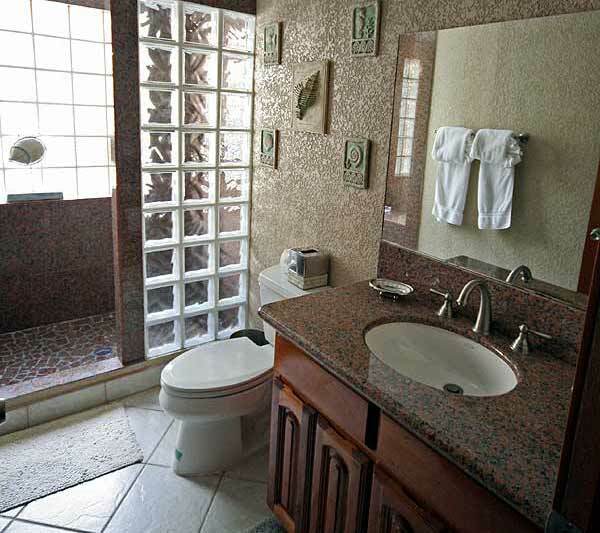 The suite features a sunken granite covered double Jacuzzi tub, a large granite walk in shower, double vanities with large mirror and skylight overhead, king or queen size bed with pillow top mattress, and last but not least, a private viewing area overlooking the Caribbean Sea. 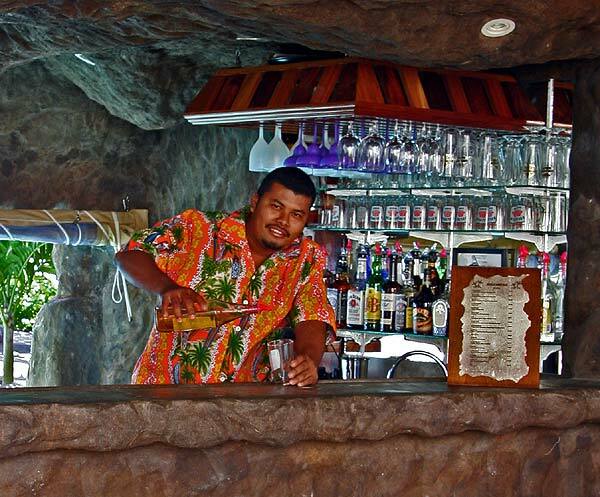 Each villa also has a full size washer/dryer and daily housekeeping services.